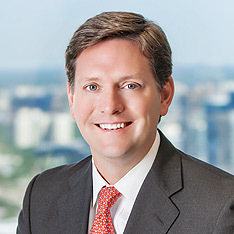 S. Shayne Gardner is a partner in the Dallas office of DeHay & Elliston. He joined the firm in 2000 and practices in the areas of general civil and commercial litigation, as well as toxic tort defense. Mr. Gardner has more than 15 years of experience defending some of the nation’s most prominent petrochemical and manufacturing companies. He has particular experience in defending premises owners in a variety of chemical exposure cases and asbestos-related cases. He has also defended numerous product liability claims against manufacturing companies. Mr. Gardner graduated from the University of Tulsa College of Law in 1998 and is admitted to practice law in Texas, Arkansas and Illinois. He is also admitted to practice before the United States Federal District Court for the Southern and Northern Districts of Texas. University of Tulsa, College of Law, 1998 - J.D. University of Arkansas; Arkansas Tech University, 1994 - B.A.